The wait is over for those excited about those iPad 3 rumors. Apple today announced the next generation iPad, the new iPad. But what is the name for this iPad? iPad 3, iPad HD, or iPad 2S. Nope. You can forget about those names, Apple calls this iPad the new iPad. The new iPad brings many expected features such the Retina display, A5X chip, 4G LTE, improved 5 megapixel camera allowing 1080p video recording. The new iPad also brings 4G LTE, but only for AT&T and Verizon customers. Both models for AT&T and Verizon supports HSPA+, which is close to 4G allowing a download speed of up to 21 Mbps. The LTE model for AT&T is also GSM capable so you can use 3G service where there’s no LTE or HSPA+ available. The Verizon’s model is not capable of GSM signal, but it supports CDMA EV-DO Rev. A for Verizon’s 3G network. No word for Sprint’s version of the new iPad yet. 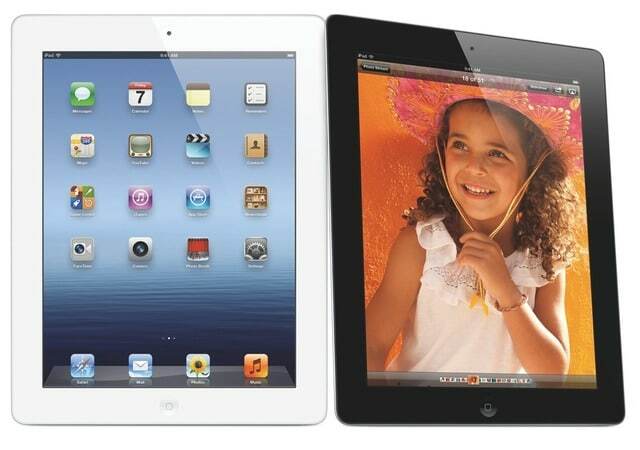 In the new iPad you will be touching a new Retina display, like the iPhone 4 and 4S. The new iPad has a 9.7-inch LED-backlit glossy widescreen Multi-Touch display with IPS technology. The screen displays 2048-by-1536-pixel resolution — that’s 264 pixels per inch. Apple claims that its oleophobic coating will prevent you from leaving your nasty fingerprint every time you touch the screen, just like your current iPhone 4S or iPad 2 which sometimes doesn’t work that well in not leaving fingerprint. You will see a huge upgrade in graphics, processor and camera in the new iPad over the iPad 2. The new iPad 3 is powered by a A5X processor with quad-core graphics for Angry Birds — which is four times faster than the Tegra 3 according to Apple. You will take picture with the new iSight camera, the same camera found in the iPhone 4S but it only has 5 megapxel in the iPad 3 and features: autofocus, Tap to focus, and face detection. The camera is also capable of recording 1080p HD videos and has the video stabilization feature that was introduced in the iPhone 4S. You can Facetime with the VGA front camera allowing photos video up to 30 frames per second. Battery life for the new iPad is the same as the iPad 2. It can last up to 9 hours on 4G LTE while surfing the web. The new iPad cost $499 for 16GB WiFi-only model, and $629 for the cellular model that supports 4G LTE. There’s also a 32GB and 64GB of both models. The 32GB GB cost $599 WiFi-only, and $729 if you want it with cellular data 4G LTE. The 64GB is $699 WiFi only, and $829 for 4G LTE model. You can pre-order Apple’s new magical beauty right now at Apple online store, and wait until March 16 to receive it.